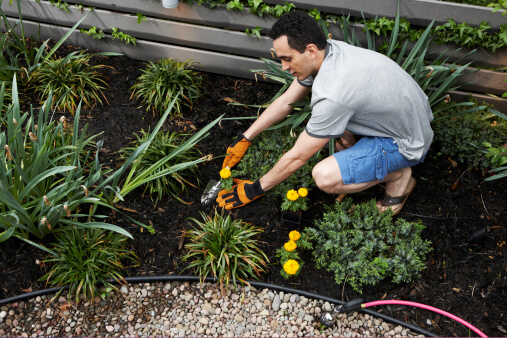 Getting your thumb to turn green, really green, requires some knowledge about the gardening zone in your area. The USDA provides a handy guide that will assist you in identifying plants that will do well wherever you live. This map, USDA Hardiness Map, will give you a very good idea about your zone. In western to southwestern Pennsylvania, you will find this to be zone 6. Lucky for you, there are many, many choices of vegetation that will thrive in this climate. The zones are based on the coldest and hottest temperatures year-round. If you are creating a new outdoor landscape or just wanting to add beauty to your existing garden, you will find five beautiful additions to your grounds below. The following will bring an explosion of color that you will enjoy throughout the planting season. Purple Coneflowers make a great backdrop to your garden. Reaching heights of four to five feet, standing tall, and producing rows of large purple, daisy-like flowers. Often, the flower measures six inches across. Sturdy and upright, these flowers will attract bees and butterflies, assuring cross-pollination for adjacent plants. Another pollinator magnet, Salvia are gorgeous and come in multiple colors of your choosing. Whether you pick blue, purple, pink, red, white, or yellow. The spiky blooms are bulls during the warmest summer. They grow quickly and can take on a shrub-like appearance, though primarily they are a stemmed flower. Interestingly, depending on the variety you choose, you may notice a fragrance of pineapple or even sage. A perennial, Coral Bells will stun you with their color. This is the flower the keeps on giving as the foliage offers further intensity. The bell-shaped flowers, bloom from late spring to early summer. Other varieties of this plant will bloom late summer, allowing you to mix your garden based on different stages of the season. Colors range from white and pink to light coral and deep red. They do not do excellent in direct sunlight, so be sure to provide them with some shade or filtered sunlight. Winters are long and the weather in western Pennsylvania will have you screaming for spring or summer. The Hellebore will be the flower that shows you light at the end of the tunnel. You may find its bloom while snow still lays on the ground. The blooms are fragrant, long-lasting, and offer a wide range of colors. Its foliage is attractive and as a special bonus, deer do not have an appetite for them. However, the plant is poisonous so keep this in mind if you have small children or pets. Not quite the typical flower like the others on this list, but the Azalea should never be left out of anyone’s landscape. The Azalea’s fiery blooms come early in the season but they will catch the eye no matter. What is different is the Azalea is a shrub that must be pruned every couple of years, unless you desire a bush. The scorching colors come in several shades and its flowers take over the entire shrub while in bloom and full sun is not recommended. Get your hands dirty and dig a little deeper, the varieties of plants that thrive in western Pennsylvania are many. 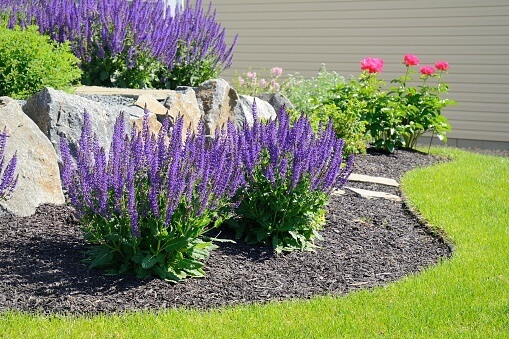 Play with different color, bloom schedule, and height combinations to spice up your landscape. You can also call Treesdale Landscaping if you need help with your planting.